Boyds, Md. 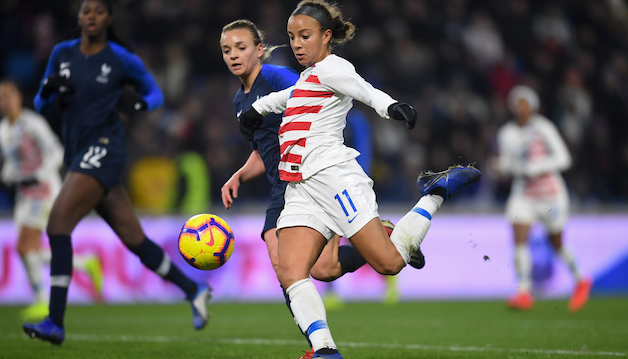 (Jan. 20, 2019) – Washington Spirit forward Mallory Pugh netted the first goal of 2019 for the U.S. Women’s National Team, putting the USA on the board in stoppage time of the second half Saturday against France. The goal was Pugh’s 13th of her young career, as she earned a spot in Jill Ellis’ starting lineup to tally her 44th career international cap. Carli Lloyd earned the assist on the Pugh’s goal, hitting her with a quick chip over the France defense. Pugh out-worked a defender to collect Lloyd’s pass and rifle a low shot from the left side of the box across the face of goal and into the lower right corner.